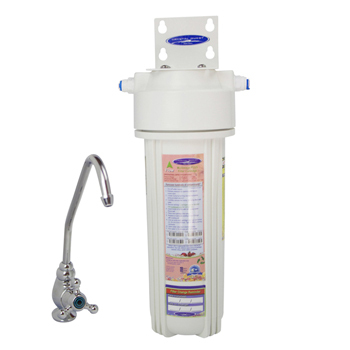 Under sink Water Filter with Fluoride Removal is a single-cartridge, 7-stage filtration system that clears your drinking water from fluoride and hundreds of other impurities. Uses Fluoride + SMART filter. It is infused with a special media, the CQ-900, that is designed to not only reduce fluoride but also lead and arsenic. 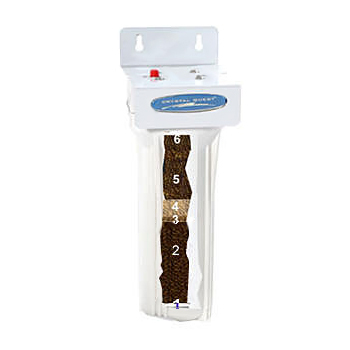 Additional stages use Coconut Shell Granular Activated Carbon (GAC) and ERA media to help remove hundreds of other contaminants from your tap water. 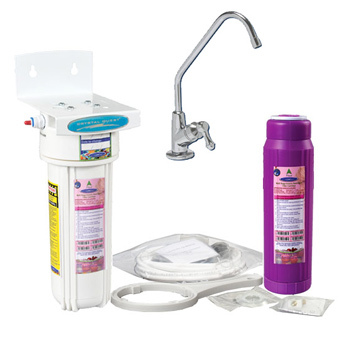 Under counter water purification systems do not add clutter to your kitchen. 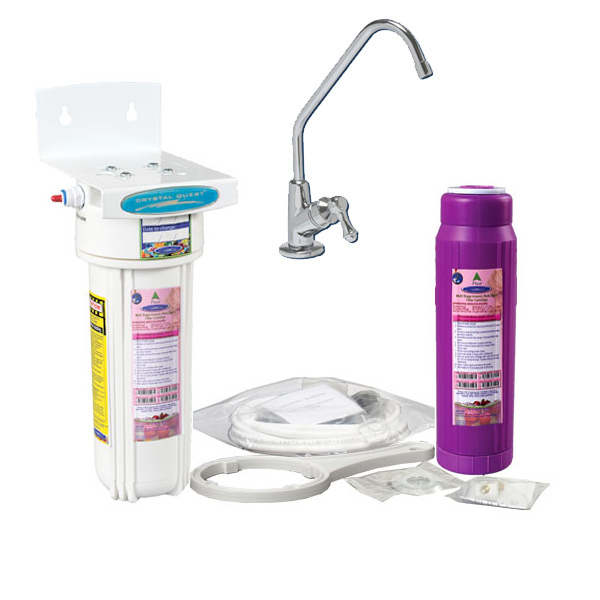 This compact, single cartridge system is your best option for fluoride removal and other contaminants from your drinking water if you have limited space in your kitchen cabinet. For better performance, select dual or even triple cartridge system. Fluoride is commonly known to be used on dental products. It is a naturally occurring element which is present in water and soil at varying levels. Municipal water treatment plants commonly add fluoride to the water for prevention of tooth decay and maintain a regulated concentration for safety. Today, fluoride has found its way to our homes in more ways you can imagine. From dental products to food, beverages, medicines and even utensils that cause an increase of fluoride content in food. The last thing you want is fluoride in your water. Fluoride may cause health problems if present in public or private water supplies in amounts greater than the drinking water standard set by EPA. According to the EPA, exposure to excessive consumption of fluoride over a lifetime may lead to increased likelihood of bone fractures in adults, and may result in effects on bone - leading to pain and tenderness. • 7 Stages of filtration. • Infused with Aluminum Oxide media for fluoride, lead and arsenic removal. • Combined with advanced Coconut Shell Carbon (GAC) and KDF media technology. • Compact system that fits neatly under your kitchen sink. 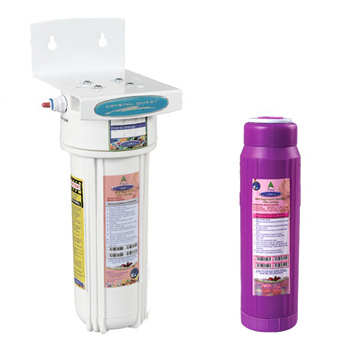 • Filter media combination removes hundreds of contaminants. • Easy install, comes with an attractive faucet and hardware's for setup. Dimensions(LxHxW): 5"x14"(10"+4" to change cartridge)x5"
- Comes with a saddle valve for easy installation on copper lines. For flex tubing, T-valve is required, please add a note during checkout. - If you need fluoride removal only, a fluoride removal cartridge is also available for the same price (see replacement parts below).